Pittsburgh's Best Mobile Video Game Truck & Laser Tag Birthday Party Place in Pennsylvania! Allegheny County and MORE! Bring your team, customers or family together through fun! Looking for a Team Building event? Or, maybe just a fun event to show appreciation for your employees’ hard work? How about the best idea for entertainment for your Community Day Event? Bring the Steel City Gamerz Mobile Video Game Theater to your office parking lot for hours of carefree, unique fun…the ultimate in team-building challenge! 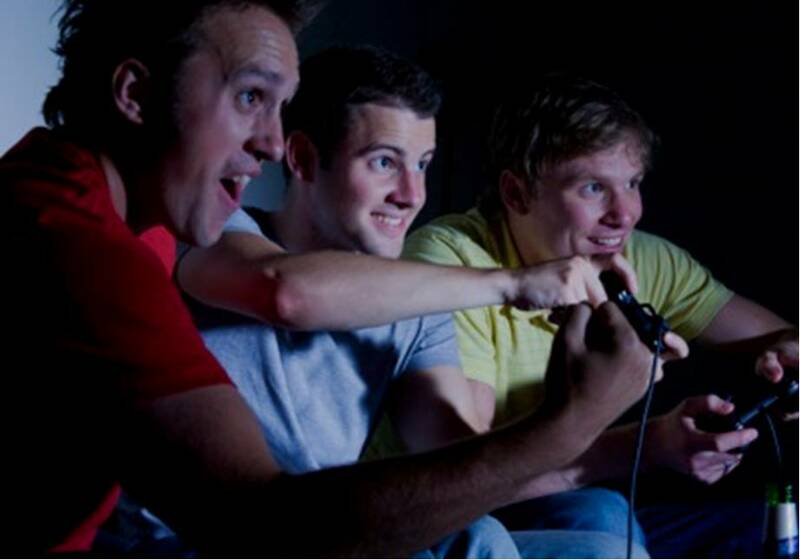 Your colleagues will be impressed with the sleek design of our video game theater! It’s an event that’ll not only bring out their healthy competitive nature, but it’ll be a great Corporate Event that they will remember forever. Launching a new product or service? Steel City Gamerz can provide you a high-quality venue to announce and launch your new “big thing!” Afterwards, your customers, guests and team can partake in all the fun we have to offer. Our limo style, climate controlled, gaming theater provides the ultimate experience for Team Building, Rewarding your Teams, Product Launches or any other Corporate Event, or an awesome entertainment add-on for your large family reunion event. Allegheny County PA, Baldwin PA, Banksville PA, Bethel Park PA, Brentwood PA, Bridgeville PA, Brookline PA, Canonsburg PA, Carnegie PA, Cecil Twp PA, Crafton PA, Cranberry PA, Cranberry Township PA, Coraopolis PA, Dormont PA, Greentree PA, Jefferson Hills PA, Library PA, McMurray PA, Mt. Lebanon PA, Moon PA, Moon Twp PA, North Fayette PA, Peters Twp PA, Pleasant Hills PA, Robinson PA, Robinson Twp Pa, South Fayette PA, South Park PA, Upper St. Clair PA, Venetia PA, Washington County PA, West Mifflin PA and Whitehall PA.
Don’t see your city/town listed? Contact Us and see if we can bring the party to you! We’re available to discuss and tailor the ultimate event for your company. Contact Us and put us to the test! Looking for a video game truck or laser tag rental place in Pittsburgh, Pa? Are you looking for a new way to celebrate a birthday party, one that everyone will love? Looking for a Party the kids will talk about for years? Pizza Parties and Bowling Parties are a thing of the past, book your event with Steel City Gamerz! Be the first in your neighborhood to have this new and exciting party! Suddenly, the Moon Bounce Parties and Gymnastics Parties pale in comparison! A video game or laser tag party with Steel City Gamerz blow them all away! We have a couple ways to throw a EPIC birthday party for your son or daughter. Our Mobile Game Truck party will be the best birthday party experience your child will remember for a life time! Whether you’re looking for party ideas for a teen party, a kid’s birthday party, a bachelor party, adult get-together, church or school party, Community Day Event or any event you want your friends and guests to have fun at, go with us! You’ll be glad you did! Bring our party place to your place! Book your party today! See our "Events & Pricing" menu for other party types and more information. What make us Pittsburgh’s BEST Birthday Party Idea? Tired of the same old birthday party ideas? Book the best boys or girls birthday party place in Pittsburgh, PA! Kids have a BLAST while you get to RELAX! Book Steel City Gamerz for your next event or birthday party. We’ll put the games on that everyone loves! This isn’t a bounce house, only for the kids. This isn't the same old pizza party or bowling party! 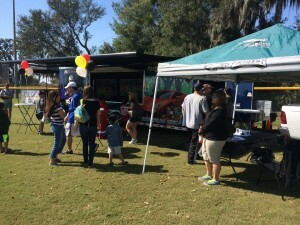 Our Mobile Game Truck or Laser Tag Parties are great for events of any size, large or small, and any age group, including adults. We have the latest titles on Wii, Wii U, Xbox 360, Xbox One and PS4 with 5 huge TVs to play them on. 20 Can play at one time! Book your next party or event with Steel City Gamerz! You and your guests will not be disappointed! best surprise party in Renfrew PA, Valencia Pa, Bridgeville PA, Sturgeon PA, Hickory PA, Bakerstown PA, and Harmony PA are great towns to hold birthday parties with our rolling video game truck. Wexford PA has Kids Parties, School Fundraisers and functions. Private Parties in Pennsylvania are our specialty. Also serving the following towns in Westmoreland County PA with parties for birthday and other events. Coraopolis PA, Oakdale PA, Eighty Four PA, Presto PA, Ross Township PA, McCandless PA, and Canonsburg PA are a few more of the Pennsylvania boroughs we service. Lawrence PA, Cecil PA, Warrendale PA, Bradford Woods PA, Marshall PA, Wexford PA, Mars PA, McMurray PA, Venetia PA, Cranberry PA are also in our area. Sewickley Hills PA, Sewickley Heights PA, Sewickley PA, Gibsonia PA are great towns. parts of Allegheny County PA in Pennsylvania parties and birthday planning, Washington County PA is serviced by our rolling video game party trailer. Use us instead of Game truck party or Ultimate Gaming Trailer for your Birthday Party or Corporate party! We have the best video game bus in town! Our gaming truck is a great girl's party idea or boy's party idea! The best Pennsylvania Birthday Party Location is the one that comes to you! Don't go looking for the best Party Place in PA.....we have it, and we'll bring it to you! Now you can have your party at one of our hosted birthday party places in Pittsburgh, PA. Enjoy the Steeler or Penguin game at Buffalo Wild Wings while the kids have the best video game birthday party. Also, have your Pittsburgh event at Pizza Hut, The Pub at Tonidale, Girl Friday Cooking Co and more! Now serving Uniontown PA, Connellsville pa, California PA, Scenery Hill PA, Brownsville PA, Perryopolis PA, Star Junction PA. Hopefully soon, you will be able to have a Pittsburgh Laser Tag Birthday party with Steel City Gamerz!